In small microwavable bowl, microwave chocolate chips uncovered on High about 45 seconds or until they can be stirred smooth. 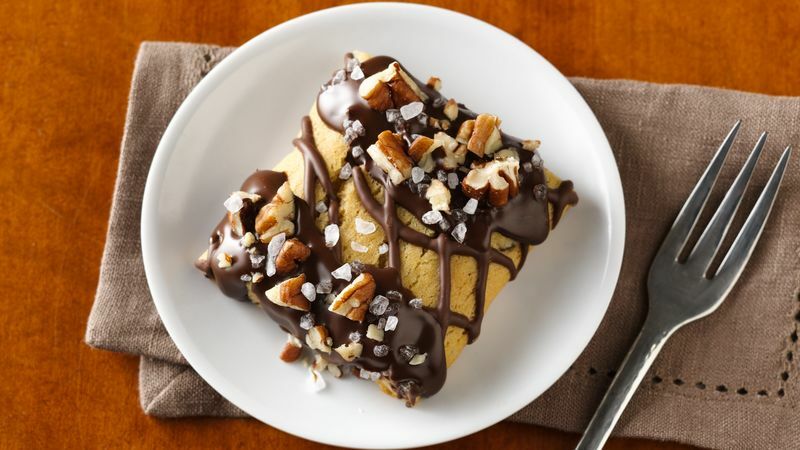 Spread both ends of cookie with chocolate; sprinkle with pecans and sea salt. Serve immediately. Use whatever type of chocolate chips you have, but we prefer the dark chocolate with sea salt. Almonds or walnuts could be substituted for the pecans if that is what you have in your pantry.